My fierce little princess Lulu is turning four tomorrow and while that definitely makes a mama want to cry (What??? No more baby? Noooooo! ), it also makes me proud. She's such a good little bunny, very expressive and sure of herself. She likes to assess situations and then conquer them with humor and imagination, like her daddy. She's strong and knows the words to all her favorite songs, like her mama. She's our girl and we'd do anything for her. 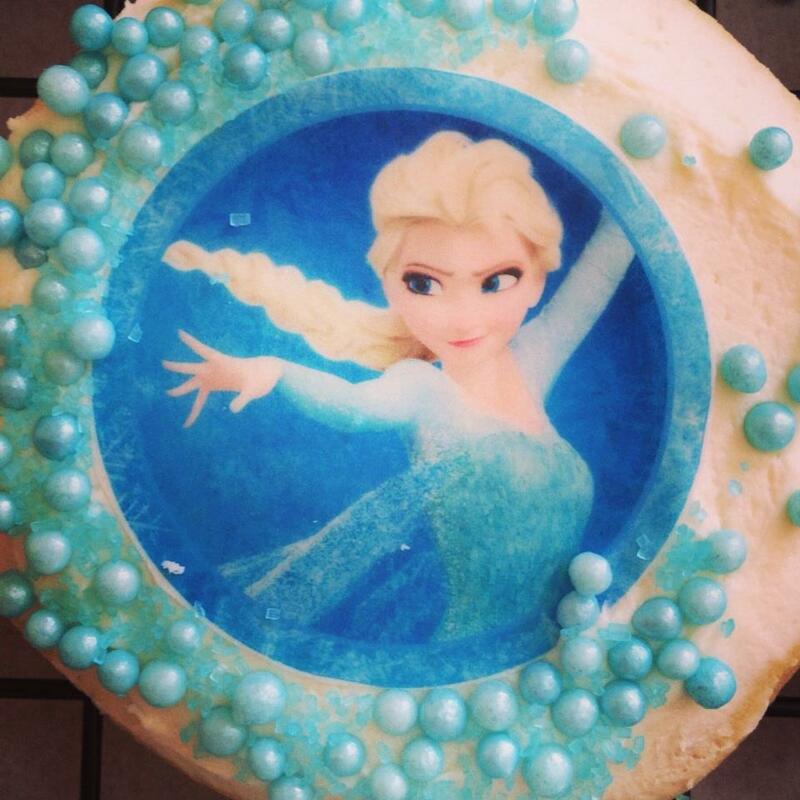 When she asked for a Frozen party for her birthday, we enthusiastically agreed. No matter that we're paying through the teeth for the Bippidi Boppidi Boutique at Disneyland tomorrow. Cost be damned! 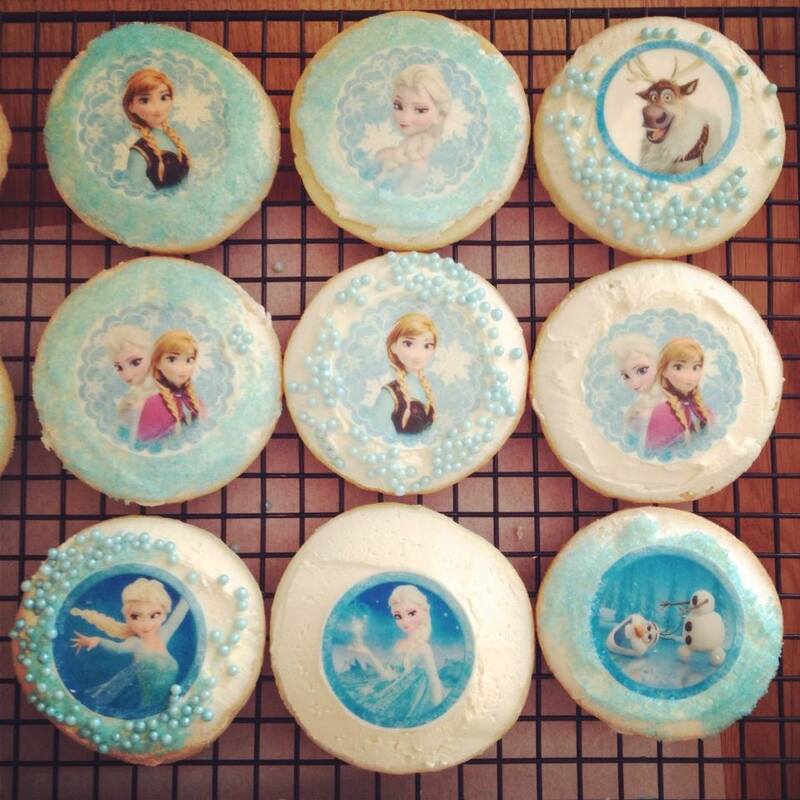 Let's order pizza for her class and make some treats! Lulu and I set about making up our favorite sugar cookie dough after ordering these fabulous rice paper decals from It's Edible on Etsy. After a little baking and some vanilla buttercream (recipe below. 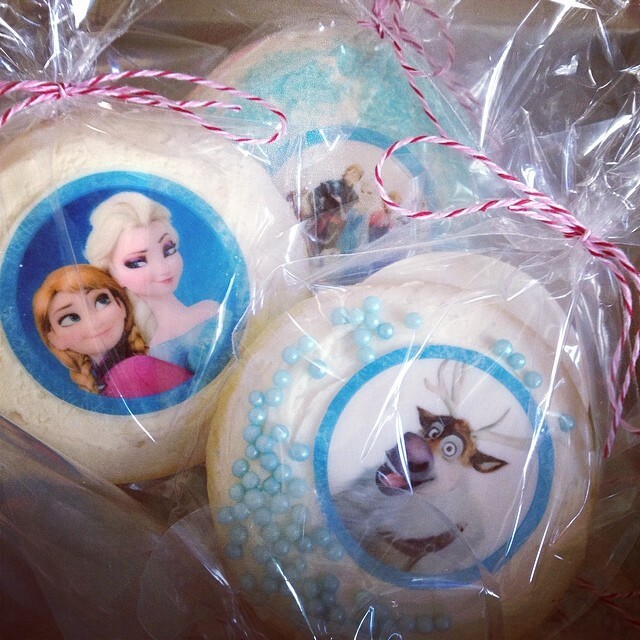 Yes, there are better cookie icings, but this tastes amazing and works perfectly if you're okay with the homemade look) spreading, we went to town pasting down the decals and embellishing it all with sprinkles and blue dragees. After allowing the cookies to set for about 3 hours, I simply dropped them into bags, put a Happy Birthday label on them and called them favors! Gotta go. Jeremy and I are off to Lulu's school to meet the pizza guy and hopefully make this Frozen party come to life for the 30 minute lunch break. Wish us luck! Throw everything in the mixer and blend for at least 2 minutes or until there are absolutely no lumps and the frosting looks like whipped cream. That's it!